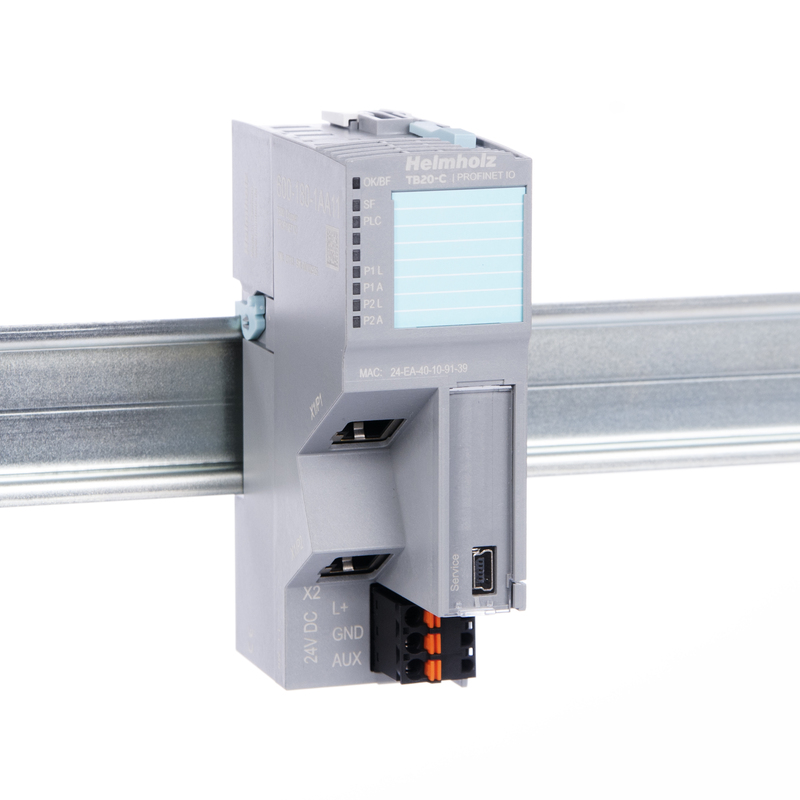 The PROFINET bus coupler is designed to connect a PROFINET bus to TB20 peripheral modules. 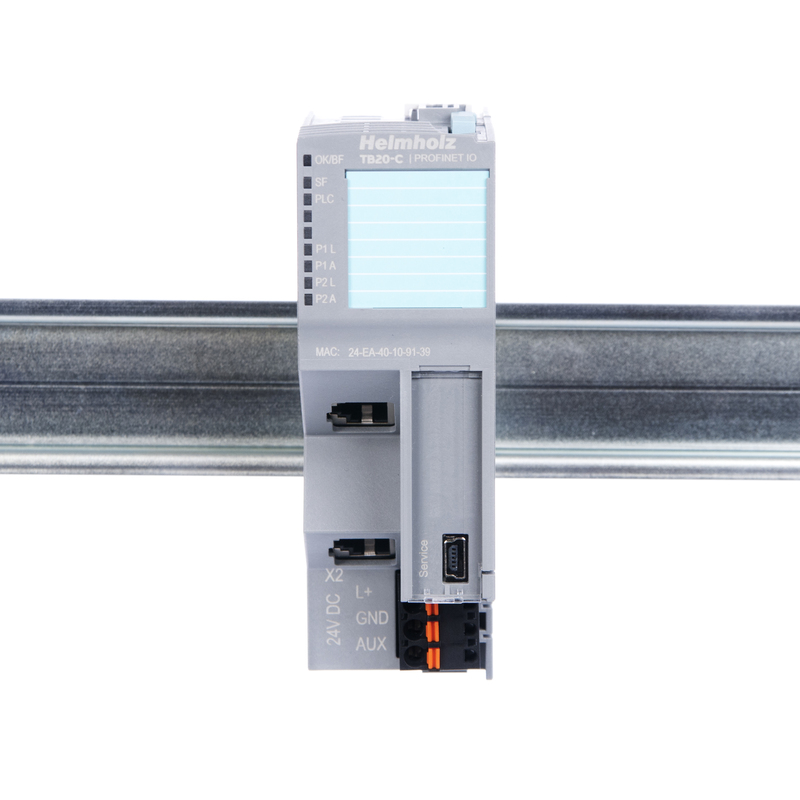 A functioning TB20 configuration will always require a bus coupler and at least one peripheral module, but can accommodate up to 63 modules of any kind connected in series with the bus coupler. The bus coupler supports hot-plug for replacing modules during operation. A PROFINET bus coupler version featuring Power over Ethernet (PoE) will soon be available as well. This bus coupler will make it possible to run a distributed I/O station with nothing more than an Ethernet cable. • USB device port for online diagnostics, configuring parameters, setup, and firmware updates with "TB20 ToolBox"